When we look at galaxies in the universe, we see that many of them have sweeping spiral arms. These spiral galaxies are quite common, and even our own Milky Way galaxy is one of them. Just how these spiral galaxies form has long been an area of astronomical study. At first it would seem to have an easy solution: as stars orbit the galaxy, the faster stars nearer galactic center twist around the galaxy faster than more distant stars, which would produce a spiral shape over time. But we now know that isn’t the case. If that idea were true, then the rotation of all galaxies should have the spirals trailing, but we know that some galaxies rotate spiral first, as if the outer stars are moving faster than the inner stars. We also know from computer simulations that stellar motion would actually smear out the spirals fairly quickly, but know by observing distant spiral galaxies that their spiral shape is stable, barring collisions. So how do spiral galaxies form? The most popular solution is that spirals form as a density wave effect. You can see a similar effect in traffic jams. Whenever there’s a fender-bender on the highway, there is inevitably a slowdown of traffic and a build-up of congestion. Individual cars slow, pass through the congestion and move on, but the traffic jam as a whole remains. Even hours after the accident has been cleared, the traffic jam can remain, which is why sometimes on the highway you find your journey slowed to a crawl for a bit and there’s no clear reason why. A similar effect can occur with stars in a galaxy. A traffic jam (density wave) can cause a build-up of stars along a spiral. 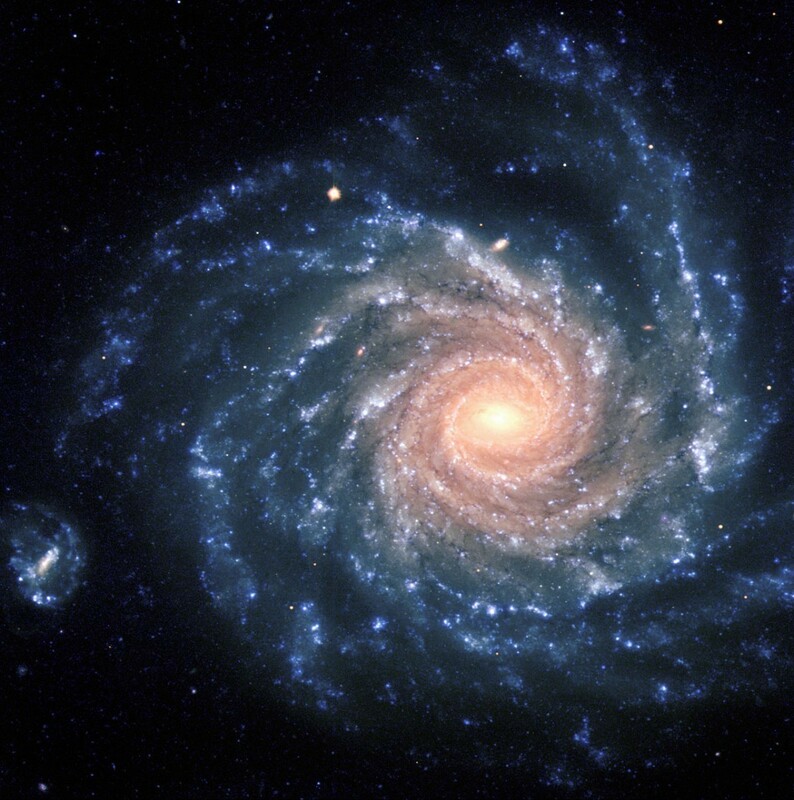 Individual stars move in and out of spiral arms, but the spiral shape of the galaxy remains stable. Since our Milky Way is a spiral galaxy, we should see the same effect. But demonstrating it can be difficult given that we’re in the midst of things and our view of the Milky Way can be limited by interstellar gas and dust. But now a new paper has presented strong evidence of the density wave effect in our own galaxy. Good maps of our galaxy have been made several times before. It’s how we know that the Milky Way is not only a spiral galaxy, but a particular type known as a barred spiral. What makes this new work different is that the author mapped the spirals arms based upon different spectral signatures. So instead of simply mapping the location of “stuff” and how it’s distributed, the author mapped hydrogen, organic molecules such a carbon monoxide, cold and hot dust, and even where masers are produced. From these maps it is seen that the spiral arms of our galaxy have parallel layers of material within each spiral arm. The inner, middle, and outer sections of each spiral arm follows a similar pattern. This is exactly what you’d expect if spiral arms are the product of density waves. It would be as if you noticed for every traffic jam you notice brake lights come on as cars enter the pattern, and their engines accelerate as they leave the pattern. So it’s pretty clear from this work that density waves really do shape the spiral arms of a galaxy. Now we know that our Sun and other stars are simply riding the wave. Hi Brian another good article. I want to ask you question. I dont know here is true place forgive me if it’s not. This question we discussed in the class and I recognized you and I wondered your opinions. There it is; what if our solar system in an open cluster can we understand the stellar evolution ? If we can what is looks the H-R diagram ? I can explain my thoughts if you want. But what causes the density waves to exist? Density waves out of my subject actually.